This shouldn't surprise anyone of course, given the fact that UCLA, like esentially every other university in the country, has absolutely refused to discuss its use of animals in public in detail. It's almost as if they are embarrassed by what they do, worry about the public's reaction, and don't want there to be any substantive public dialog about the matter. Or, maybe, that is precisely what keeps them hunkered down. Instead of actually engaging the public and talking openly about what they do, they have filed a law suit against an idea. The absurdity and naivete demonstrated by this hints at causes underlying the abject failure of animal models of human disease and drug response. The university said it will ask a Superior Court judge in Santa Monica to limit the activities of animal rights groups and activists, including websites. Seeking to protect scientists who conduct experiments using animals, UCLA will go to court today to request a temporary restraining order against animal rights groups and activists accused of harassing university researchers. The university said it would ask a Superior Court judge in Santa Monica to limit the activities of five individuals and three organizations that maintain websites, including one that identifies researchers and lists their home addresses. "We are hoping to send an important message that violence and harassment of our faculty is absolutely outrageous and totally inappropriate," said UCLA Chancellor Gene D. Block. "We really want to act before someone gets hurt." UCLA researchers have been the target of several attacks in recent months. Two weeks ago, someone left an incendiary device at the home of professor Edythe London, who uses vervet monkeys in nicotine-addiction research funded by tobacco giant Philip Morris. The device charred her front door before going out. Earlier, animal activists claimed credit for breaking a window in London's house and using a garden hose to flood the ground floor, causing more than $20,000 in damage. Attacks on other researchers have included two incendiary devices that didn't go off, one beneath a researcher's car and another that was apparently placed by mistake at the home of a neighbor. In statements on their websites, activists said the attacks are warranted because scientists who conduct such experiments are torturing the animals. 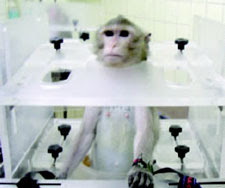 They oppose all use of animals in research. The university said it would seek a temporary restraining order and permanent injunction against the websites of the Animal Liberation Front and the Animal Liberation Brigade, which have allegedly claimed responsibility for unlawful activities against UCLA staff and their homes. Also to be named in the court action is the UCLA Primate Freedom Project, which is not affiliated with the university and whose website displays the photographs, home addresses and phone numbers of researchers under the heading "Targets." Christine Garcia, an attorney who has represented animal activists in the past, said UCLA's plan to obtain a court order appeared to be part of a continuing attempt by the university to curb legal protests, such as residential picketing, by opponents of animal research. I recently had a conversation about the nature of rights. Are rights conferred or are they inherent? The person I was conversing with held that rights are mere constructs, given to us by human-made laws and that the idea that rights are inherent is absurd. The most common way out of this conflict is the claim that rights are God-given. But I’m an atheist, and I believe that rights are inherent. The reference to a Creator isn’t available to me. But we each have many characteristics, and I don’t believe that these are God-given either. Many of our characteristics are the result of billions of years of accumulated mutations to our DNA. Darwinian evolution affected the statistical prevalence of certain traits encoded in our and our relatives’ DNA with the result that there between 2 and 100 million species in the world today. Some of these species perceive the world around them. Many species perceive the world differently. They may see certain colors, hear certain frequencies, or smell various chemicals that members of other species cannot. Bats hear ultrasonic frequencies and perceive the physical world through echolocation. Platypuses and many other species perceive the electromagnetic fields generated by other animals. Birds migrate using the earth’s magnetic field, apparently. Sometimes, even members of the same species perceive the same phenomena differently. One simple example is the fact that human eye witnesses sometimes describe witnessed events very differently. These observations are germane to the question of the source of rights because they show that not perceiving something doesn’t mean that it isn’t there and that we can perceive real things but might not yet know how we are able to do so. Let’s do a thought experiment. If rights are assigned, if they are constructs created by law and not a characteristic that exists whether acknowledged or not, then, if the law did not cede a particular right, there could be no violation by treating someone in accord with the law. 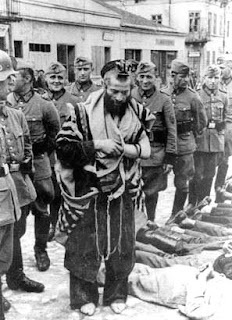 But this would mean then, that we would feel no outrage at the Nazi’s treatment of those deemed by law to be subhuman and without rights. It would mean that we would be unbothered by any harm to another unless the law granted them some right that could be violated. But this isn’t the case. 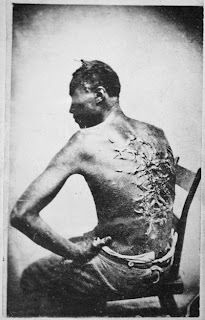 Slavery was legal, but some of us have always been outraged by it. We apparently perceive something about it that is unsettling. I’m not sure that “rights” is the best term to capture this notion that harming others can amount to the breach of some barrier or the crossing of some line that leads to outrage, but it’s all we seem to have at our disposal. It is the outrage that we feel when we see or read about others being hurt in certain circumstances that motivates the rights movement. We seem to react intuitively and recognize that something has been violated. But it is only something inherent that could be violated since, in many situations, the law or legally conferred rights aren’t since there are no conferred rights to violate. It is this visceral reaction to those things we respond to as injustices that makes be believe that rights are inherent and unalienable. If one is born and subject to the experience we call suffering, then it is likely that one is also born with the right not to be subjected to such an experience. I believe this because I am so outraged by certain images of suffering regardless of whether any legal right is being violated. I am outraged because someone’s rights are being violated. These rights must be inherent. 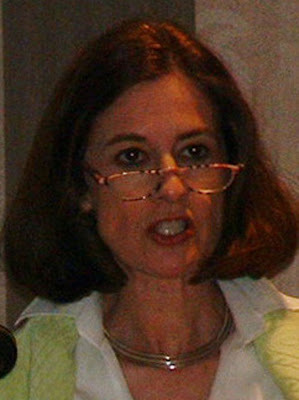 Frankie [Francine] L. Trull is founder and president of the Foundation for Biomedical Research (FBR), the nation’s oldest and largest organization dedicated to advancing human and animal health by promoting public understanding and respect for the humane and responsible use of animals in medical and scientific research. She is also president of FBR’s sister organization, the National Association for Biomedical Research (NABR) , which advocates for sound public policy that recognizes the essential role of lab animals in biomedical research and discovery. In 1995, Ms. Trull established Policy Directions Inc. and serves as president of the company whose goal is to serve private corporations and nonprofit organizations in addressing legislative and regulatory initiatives and influencing policy development. A frequent guest speaker and media resource, Ms. Trull has written several articles about the importance of biomedical research and the threat posed to the American research community by animal activism. She has been honored by the Society for Neuroscience, and in 1990 received the Distinguished Leadership Award from the Endocrine Society. Ms. Trull received her undergraduate degree from Boston University and her Master’s degree from Tufts University. Trull’s name regularly appears on op-eds in newspapers around the country. Another one was published in the Feb. 9, 2008 Capital Times newspaper in Madison, Wisconsin. It was titled: “Rats, mice are keys players in cutting edge-research.” Maybe it was written in response to the University of Wisconsin, Madison’s recent announcement that it wants to build a new gargantuan rat and mouse warehouse. But one of the major obstacles to future medical advances is animal rights extremists, who are becoming the flat-worlders of the modern science movement. Because they oppose all animal research for all reasons, they are a serious roadblock to medical progress. If we are truly passionate about our children having a better future, are we willing to compromise the promise of improved treatments and cures achieved through humane and responsible animal research? Are we willing to sacrifice the prospect of eradicating disease in the name of animal rights extremism? As the future horizon of science and medicine comes into focus, should we allow the myopic vision of a few flat-world extremists to force the planet to forgo medical discovery? The Institute of Medicine at the National Academies of Science convened a Clinical Research Roundtable in 2000 to analyze the success of basic research. They reported in 2003 that there is a “disconnection between the promise of basic science and the delivery of better health.” And that unless new strategies are enacted, the “data and information produced by the basic science enterprise will not result in a tangible public benefit.” The Journal of the American Medical Association characterized the report as not worded strongly enough. Simply, the massive increase in funding that has resulted in the likely large increase in the numbers of animals used has had little appreciable effect on human healthcare. The suffering of the millions of animals being used annually is not advancing medical care. See: An argument for ending the use of animals in biomedical research. Actually, Frankie Trull isn’t concerned with medical research or children; she’s focused narrowly on criticism of anyone or any group that speaks out for animals or unregulated corporate greed. And she does this because she’s paid to do so. Policy Directions, Inc. reported nearly $7,000,000 in income between 1998-2004. 17) Procter & Gamble Co.
26) Eli Lilly and Co.
60) Image Guided Technologies, Inc. Some people will say and do anything if the price is right. UCLA professor Edythe London's home was vandalized again. So far, no one has taken responsibility for the latest event: the apparent use of an incendiary device that caused some charring of her front door. I wrote about London's research when her house got flooded. UCLA's response to this has been all knee-jerk. They've done little to explain London's research. I doubt that the PR writers spinning out statements know with any specificity what she is doing. I have some advice for UCLA and university vivisectors in general, though I realize that my recommendations are idealistic and based on a totally unwarranted presumption that they would want to act honorably, with integrity, and that they have the conviction that they are working in the public's best interests. OK, maybe the existence of such vivisectors is pure pie-in-the-sky hypothesis, easily debunked, and naive, but how should people with genuine integrity act when their publicly-funded activities are criticised as cruel and heinous? The honorable and ethical course would be to suspend any animal use until the following steps have been taken. 1. Explain, in writing, in detail, in lay terms, what exactly is being proposed, why, and point to examples of any clear unambiguous related work that demonstrates why the studies in question might be helpful. This should be posted on the university website and should be linked from the homepage and from main pages of the related departments. 2. Invite written public comment on the above. These responses should be posted on the webpage referred to above. 3. Respond, in writing, in detail, in similarly lay or technical terms, to each submitted written comment. These responses should be on the website. These three steps seem to be the very minimum needed before any course of study that could be deleterious to the research subjects should be allowed to commence; if public opinion matters. 1. Open the protocol review process to the public and invite comment. 2. Increase public membership on oversight committees to at least parity with the vested members. 1. Open the labs to unannounced public inspections. 2. Install webcams in every lab and animal holding room. Hunkering down won't make the issue go away. Refusing to provide details implies that there is much to hide. It isn’t unreasonable to imagine that many people in Wisconsin are receiving sub-optimal heath care or even no health care whatsoever, or nutritional meals or even have a warm safe place to sleep at night.. In 2007, Governor Jim Doyle announced $7,270,027 in grants and awards to 136 organizations across Wisconsin for emergency shelter and transitional housing programs to help homeless persons in the state. In 2004 he had noted that the number of shelter providers in Wisconsin had increased by 33% since 1995 to meet the 70% increase in numbers of persons receiving emergency shelter for homelessness with at least 24,000 people being turned away due to lack of resources throughout the state during the same time. But on January 22, 2008, UW-Madison stem cell researcher James Thomson said that Wisconsin should invest $50 million a year in stem cell research… not to find the cure for some hideous disease, but in order to compete with California's $3 billion investment. 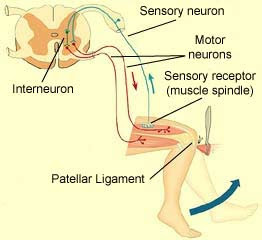 Thomson went on to admit that treatments based on stem cells were probably at least ten years away. 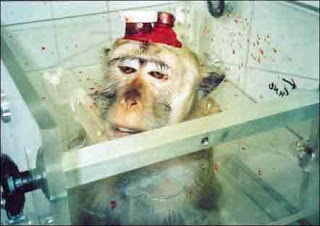 Thomson thinks that we should spend taxpayer money to further his research and that we should be spending our money to pay people to experiment on monkeys. $50 million a year for 10 years. Half a billion dollars. And, we might have treatments based on stem cells in ten years. But at least we’d be competing with California as we chased the pie in the sky. Meanwhile, children will go without health care, will live in a car or sleep in a shelter. We have much better – more humane, more compassionate, more productive – ways to spend taxpayer money. The citizens of Wisconsin have no responsibility to compete with California or to further Thomson’s career goals.